Freshly renovated with atmosphere in mind, our Deluxe Rooms boasts of fabulous views, personalized service and meals served in the room itself. However, if you wish, do come to our Dining hall and relish the menu full of culinary delight. They come complete with all the frills for couple. 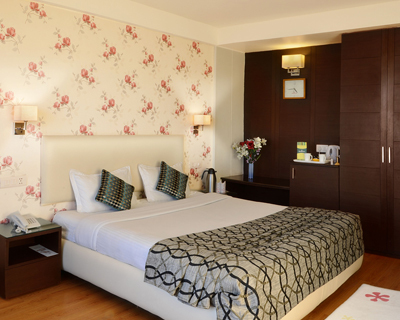 Super Deluxe rooms are large spacious rooms with LCD TV, Mini fridge, Locker and large windows with great views of twinkling lights of Doon valley. Your every whim becomes our command. 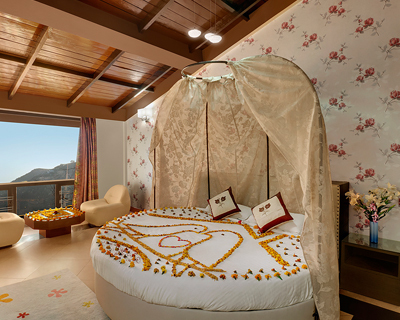 After a warm welcome, check into the Honeymoon Special Room. 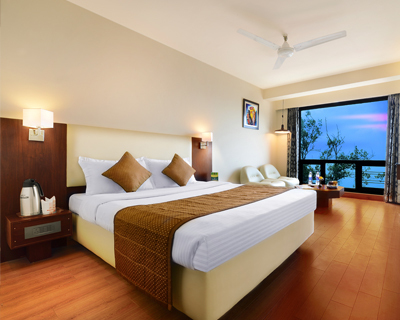 Luxury accommodation with a round double bed, a mirrored decor, 32” inch LCD TV , Mini fridge, Locker and large windows with excellent view of the Doon Valley. 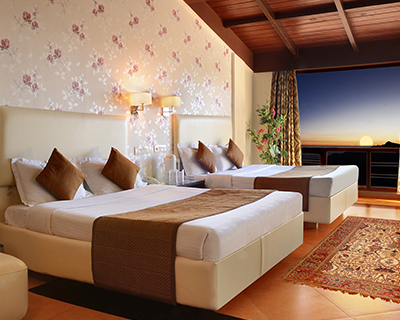 Here you will have all the amenities that will make your holiday enjoyable and comfortable. Specially designed to accommodate a family of 2 adults and 2 children, Family Suites offer great views and have LCD TV, Mini Fridge, Tea Coffee Maker and Locker for your comfort and convenience.